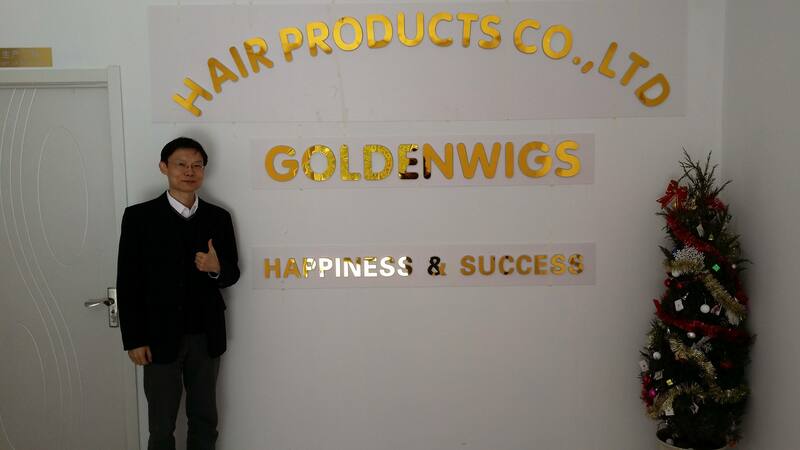 Goldenwigs Hair Products was established in 1997, giving us 18 years of experience. Our main products are human hair full lace wigs,lace front wigs,360 lace wigs,silk top lace wigs,affordable lace wigs,lace frontals closures and weave bundles. We now offer over 200 types of these products and they are bought by buyers in the US, Japan, Europe, Southeast Asia and Africa. Our customers from the US have cooperated with us for about 10 years. Our 12 R&D staff members have eight to 10 years of experience and they can speak English and Korean with customers. This team can create wig samples in five to seven days and weave samples in just three days. Our products are made on imported equipment from South Korea and Japan for precise manufacturing. Our capacity is 200,000 pieces per month. We offer six-month warranties for all of our products. Since our products are all handmade, our MOQ is very small. Our trade staff can communicate with you in English, Japan and Korean. Contact us today.